You guys remember morgan robertson? and she authors her own blog over at wake up your wardrobe. she has agreed to share her wedding fashion experience with us! her wedding was also featured on style me pretty! this site also shows all the great vendors who made morgan's wedding special! engagement, or something in between? I would say that I was a “something in between.” When Ryan and I started dating in college, I had seen some bridal show on television and thought I had found THE dress while watching (it was the Amsale “Reese”). I knew from a young age that I definitely wanted to have a beach wedding, and needed an elegant yet casual dress to fit the location. I thought that this one would be PERFECT! descriptive terms did you use to explain what you wanted? One weekend, I visited Nashville to interview for a teaching position and attend Steeplechase with Ryan. My mom informed me that a local bridal store was having an Amsale trunk show that very weekend. Of course I went there to go try on her dresses- even my mom and dad drove up to see the dress that I thought would be “the one!” I didn’t really need to use any adjectives to describe my bridal style because I thought I knew exactly what I wanted. When I tried on the “Reese,” I hated it. It was beautiful in person- but was so unflattering on my figure. I was feeling quite heartbroken until a sales assistant brought me ANOTHER Amsale gown- this time it was the “Dahlia.” I tried it on and was instantly sold! I fell in love with it right away! 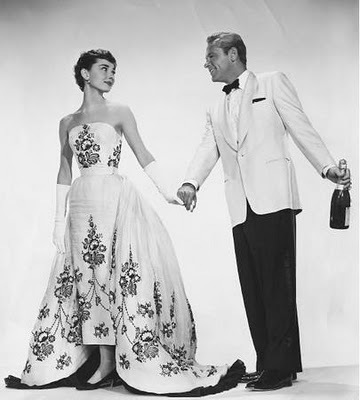 The sweetheart neckline was extremely flattering, I loved the silk taffeta, and I felt that it was very reminiscent of Jackie O’s wedding gown. What I did not love was the price tag- it was almost our whole wedding budget! So back to the drawing board I went. About 2 months later, my mother and I drove to Arkansas to see two of their popular bridal stores (Lowe’s and Clark’s). Clark’s was the first stop. We walked in, I scanned their inventory, didn’t see anything that grabbed me, and told my mom we needed to leave. She refused to let me leave without trying on one dress at least, and grabbed a dress. I hated it, but felt I had to humor her. I tried it on, and much to my surprise, I fell in love with it. The dress originally had rhinestone straps and an extremely odd neckline- it looked like two mountain peaks! Though I did not like those features, it was ivory and silk taffeta. The material felt so expensive and the weight of the dress made me feel like a movie star. Strangely enough, I had to have it! We left that day without the dress- my mom was worried I was being impulsive and had lost my mind. We went to Lowe’s Bridal afterwards and tried on about eight different dresses. They all felt so cheap compared to the dress from Clark’s. I kept catching myself comparing each dress to the one from Clark’s. After we returned home, I repeatedly looked at the photos we had taken of me in the “ugly” dress. I was obsessed and knew we had to go back and get it! The next day we drove all the way back to Arkansas and bought the dress I thought I hated! It turned out to be a sample dress that had been discontinued, so we got an extremely great deal (under $1,000)! Clark’s has extremely talented seamstresses who showed me how we could remove the straps and turn the neckline into a sweetheart shape, similar to the Amsale “Dahlia” that I so loved. Ironically all of this altering really sold me on the dress- it would be a one of a kind dress that no other bride would have! 4. Did any person or thing inspire your wedding look? Intentionally- no. Anyone who knows me knows that I have always had an unhealthy obsession with Audrey Hepburn. My dress immediately reminded me of the dress that she wore in “Sabrina.” When I stepped out of the dressing room, the sales assistant at Clark’s exclaimed, “You look JUST like Audrey Hepburn in that dress!” My mom and I laughed hysterically and felt that it was just one more sign of fate. What was your favorite thing about the dress? Any drawbacks? My favorite thing about the dress would have to be the train coming down from the hips. It was so beautifully structured and blew in the wind perfectly as I walked down the aisle. We didn’t even realize it would do that, but looking back at our wedding video- it seems like it was made for blowing in the wind! The one “drawback” of my dress would have to be the weight. 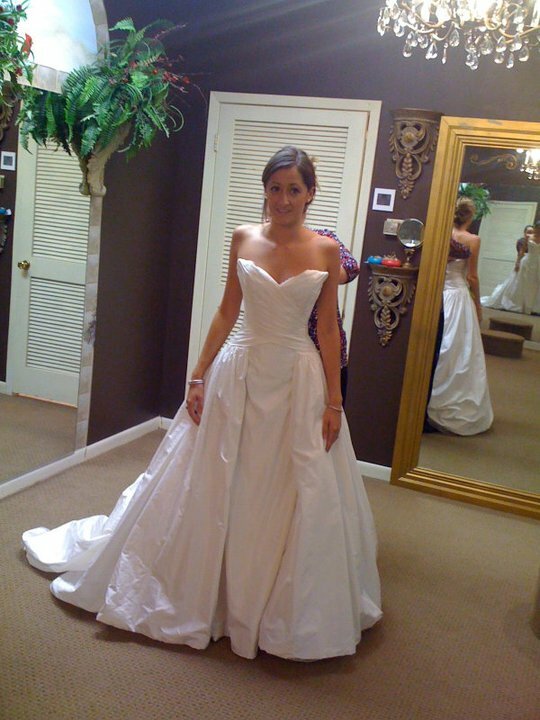 The weight is one of the original reasons I fell in love with the dress- it felt so well made and expensive. But, my gown was around 20 pounds of extra weight that I was carrying down a hot beach in the middle of the summer! It was so worth it, though! How many did you try on until you found “the one”? Yikes- I guess around 12! What was your family’s reaction to the dress? They loved it! My mom had seen it a bunch since she went to all of the alteration appointments with me. My dad’s reaction was probably my favorite. When we brought it home I tried it on in the living room- his eyes were teary and his face was priceless. 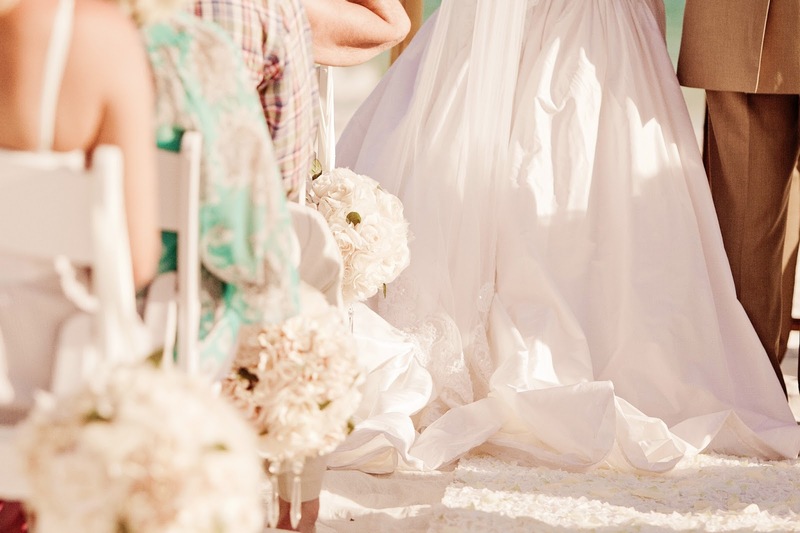 What was your groom’s reaction to the dress? This was actually one of my most treasured memories from that day. Ryan and I decided to do a “First Look” before the ceremony. It was such a fabulous decision because I was so nervous! Getting to see him beforehand completely calmed my nerves and made me so excited for the ceremony. We met each other in a beautiful garden in Sea Side. 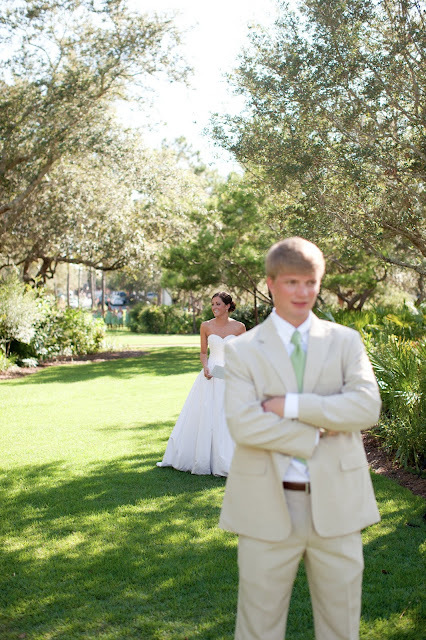 Thankfully, his sweet reaction was captured in photographs and on our wedding video. Basically he cried and hugged me for a long time and could only tell me how much he loved me over and over for about five minutes. Isn’t he the sweetest? What were the bridesmaids dresses like? 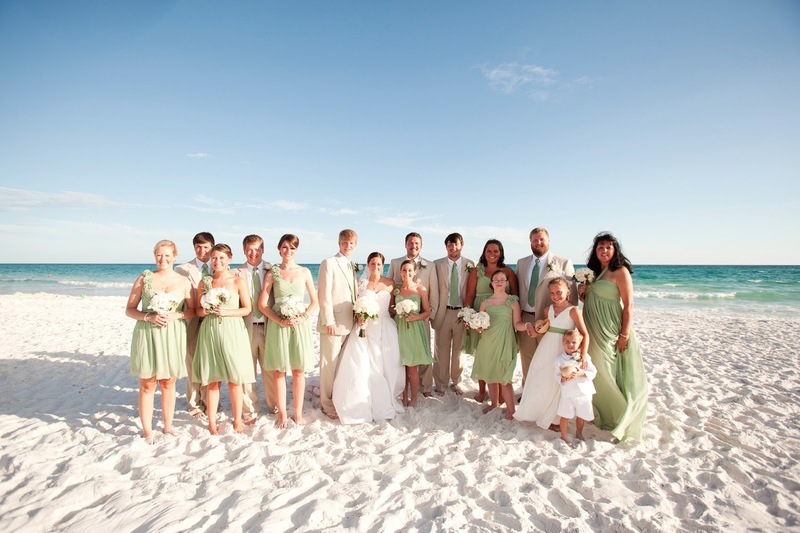 The bridesmaid dresses were a sage green chiffon that matched our reception colors. 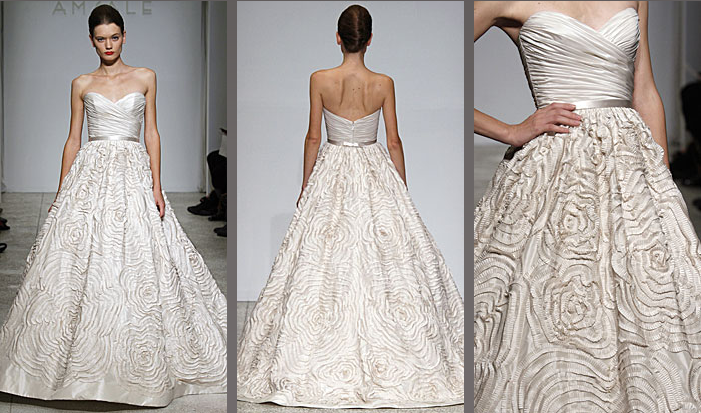 They had a very similar sweetheart neckline to that of my wedding gown to look cohesive, and were knee length. How did you choose bridesmaid dresses? I actually did not mind if each of my bridesmaids wanted to choose their own dress. Once I chose a color swatch, I emailed them to let them see all of the various dresses that came in that specific color. They actually all chose the same dress as their favorite! What advice do you wish you had when looking for dresses (yours)? I know it is a big day, and probably one of the most important garments you will ever wear, but DO NOT PUT TOO MUCH PRESSURE ON YOURSELF! I had seen so many episodes of “Say Yes to the Dress,” in which girls had these extravagant reactions to their dress. I kept waiting to cry or have some extreme reaction when I found “the one,” and that just didn’t happen for me. The truth is, I actually loved two dresses. I had to choose the one that was the best for our budget and had the best features of the Amsale dress that I could recreate on a budget. I would also suggest that you hammer out a dress budget BEFORE you try on a dress and fall in love with it. It is ok to try on dresses that are out of your price range, as long as you know that you are looking for inspiration and not to purchase. 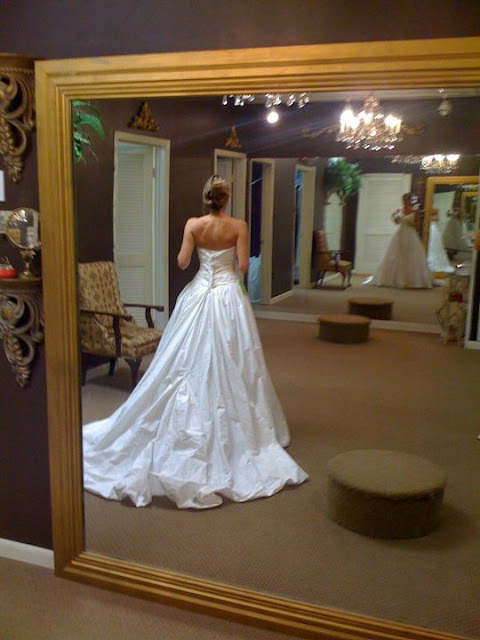 Trying on those Amsale gowns really educated me in a well made wedding gown versus a cheaply made wedding gown. It also let me know that I love silk taffeta and sweetheart necklines! 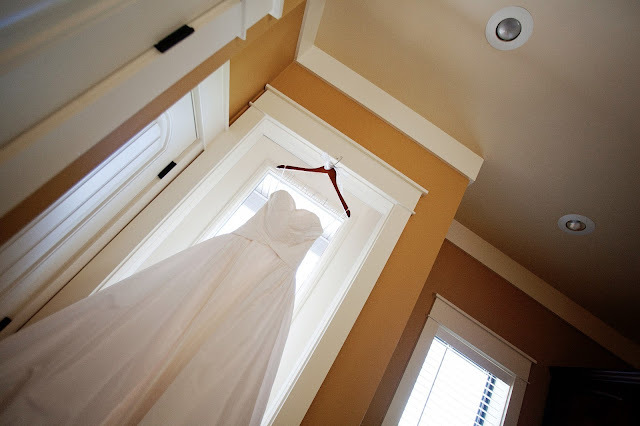 At the end of the day, your wedding is not about you or your dress. The precious memories that are made that day in your gown actually make you love it so much more than you did when you chose it. 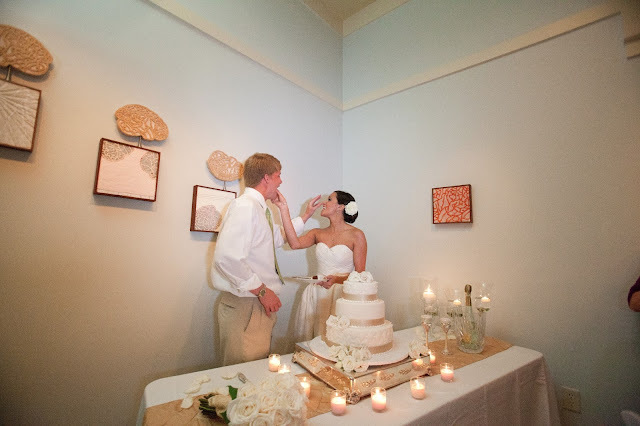 For the ceremony I had a floor length tulle veil outlined in antique lace and pearls. I switched to a gardenia in my hair for the reception. I actually walked down the aisle bare foot as it was sand- but for photos and the reception I wore a pair of satin Christian Louboutins. Jewelry wise I wanted to keep it simple. I made sure that my jewels could be worn again after the wedding and that they matched my wedding rings. I wore diamond earrings, a diamond necklace, and a diamond bracelet. My something old was a gold heart pendant from a necklace that Ryan had given me on our first Valentine’s Day sewn onto my gown. My something borrowed was an old handkerchief from my mom, and my something new AND blue was a gorgeous diamond and blue topaz ring from Ryan that I received as my wedding gift. The only things I really chose were the shoes and the veil. The shoes were a total no brainer- I couldn’t think of a better time to wear my first pair of Louboutins than my wedding day! The veil just seemed to be the perfect one for my dress- the lace and pearl detailing outlined the train beautifully! Everything else was a surprise from my parents and from Ryan! Amazing ideas for wedding dresses. Going to buy a nice dress from online for my big day. Getting married at New York wedding venues with love of my life since my childhood. Hoping that he gonna love my dress too. Need some unique ideas for wedding venue decorations too with flowers.